Please let the property know your expected arrival time in advance. You can use the Special Requests box when booking or contact the property. After booking, you will receive an email from the property with payment and key pick-up instructions. Please note that a refundable damages deposit of € 200 must be paid on arrival. 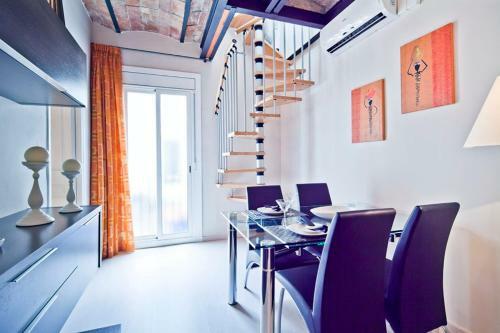 Address: Carrer Igualada, 20 Offering a spacious terrace, this apartment features a modern living room with flat-screen TV, a private bathroom and a fully equipped kitchen. Bed linen and towels are included. There are 2 single beds and 1 sofa bed.